For this sneak peek we wanted to show off one of the most crucial parts of the game, the Stations! As you would expect, we have the Order Station where you can check out your “patient” customers and take their orders. 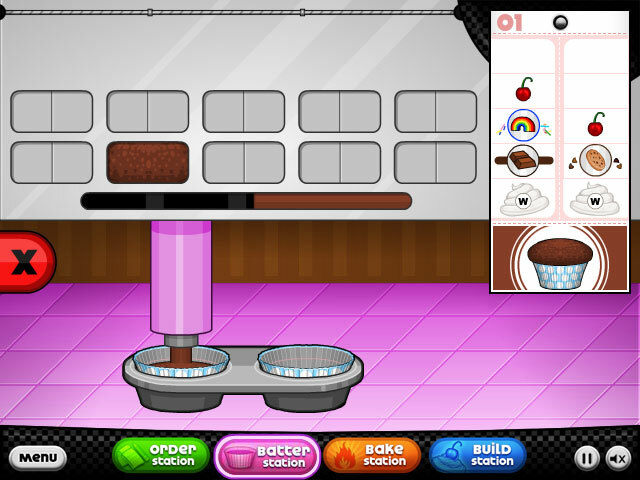 The next station that you will encounter is the Batter Station. Each Customer will be ordering a pair cupcakes. Big Pauly demanded four, but we decided two would be plenty. 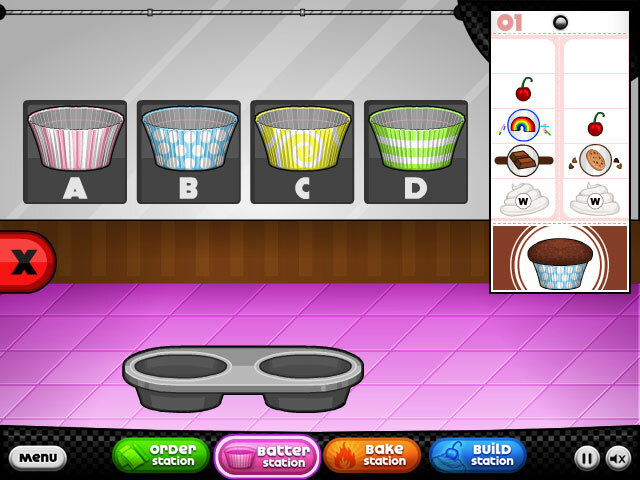 Here you will choose the wrappers and fill each of the cups with the correct batter. You’ll have to make sure you fill it up just right. From there, you will head over to the Bake Station. Here you can watch your beautiful cupcakes slowly rise up. 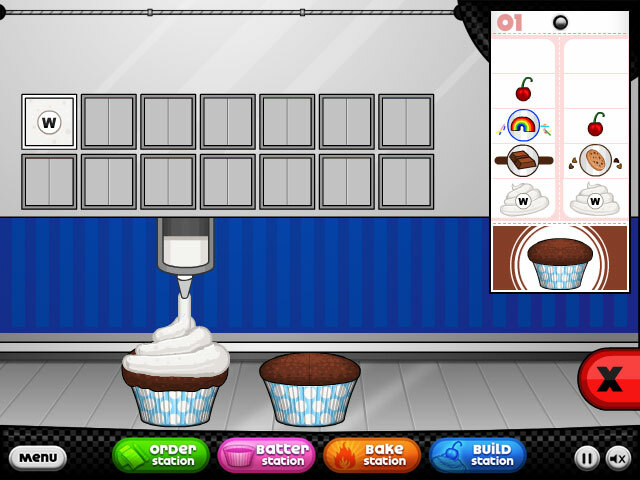 Although I’m sure the line of customers wouldn’t appreciate you zoning out in the Bake Station. 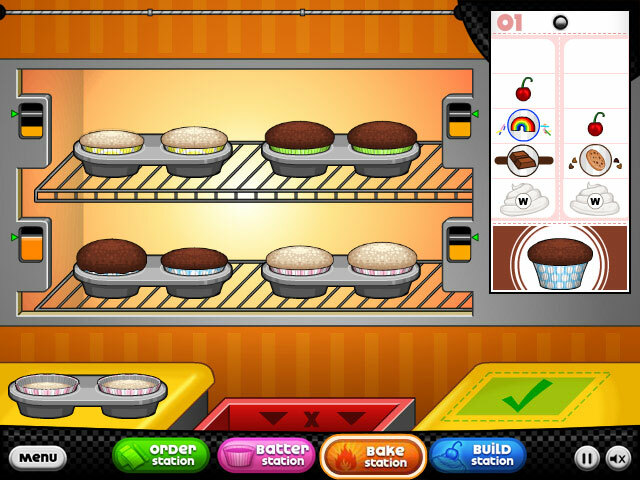 Once you have baked your cupcakes to fluffy perfection, you will head on over to the Build Station. First step: frosting the cupcakes! Second step: adding the final touches! Finally, the all important presentation! 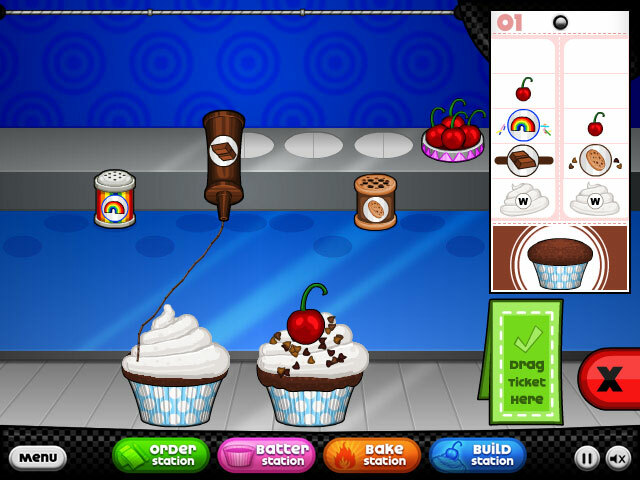 Stay tuned for more info and sneak peeks of Papa’s Cupcakeria!